Y.K. 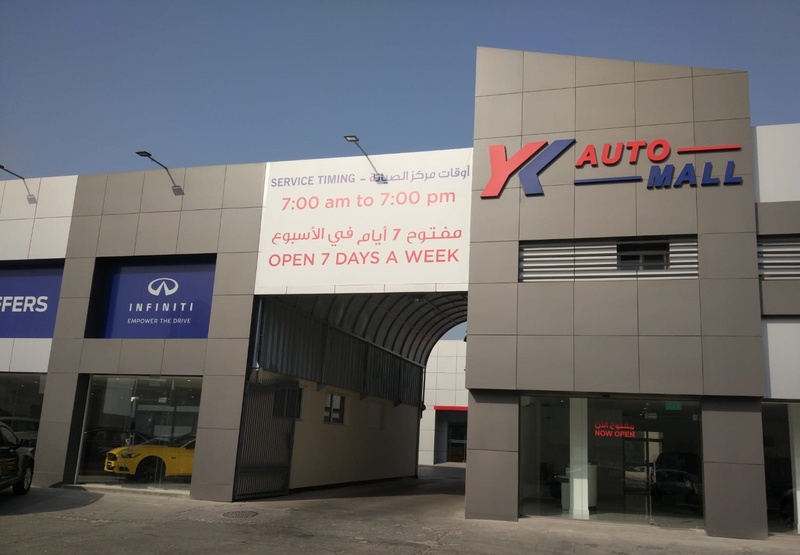 Almoayyed & Sons (YKA), the official and sole distributor of Infiniti vehicles in the Kingdom of Bahrain, has launched the ‘Infiniti Brand Week’ campaign exclusively at the YKA Auto malls located in Exhibition Road and in Janabiya. Customers who purchase an Infiniti SUV or sedan from the YKA Auto malls from 29th July to 4th August 2018 can avail special discounts on every purchase. During the campaign the Infiniti Q50 is up for grabs from just BD 11,995 while newly launched QX30 is available for BD 14,995 onwards. There are also offers on other Infiniti models which include: Q30 – starting from BD 11,495; Q70 – starting from BD 21,995; Qx50 – starting from BD 14,995; QX60 – starting from BD 18,995; QX70 – starting from BD 17,995; QX80 – starting from BD 26,495. For more information, visit the YKA Auto mall in Janabiya (Tel. 17470834) or in Exhibition Road (Tel. 17002222). The showrooms at both locations are open from Saturday to Thursday: 8.00 am to 7.30pm.